You know the story. Small company works on innovative product. Bigger company comes along with the financial clout to make a noise. Big fish gets all the attention. When it comes to hearables, Nuheara certainly fits the profile of the small fish. 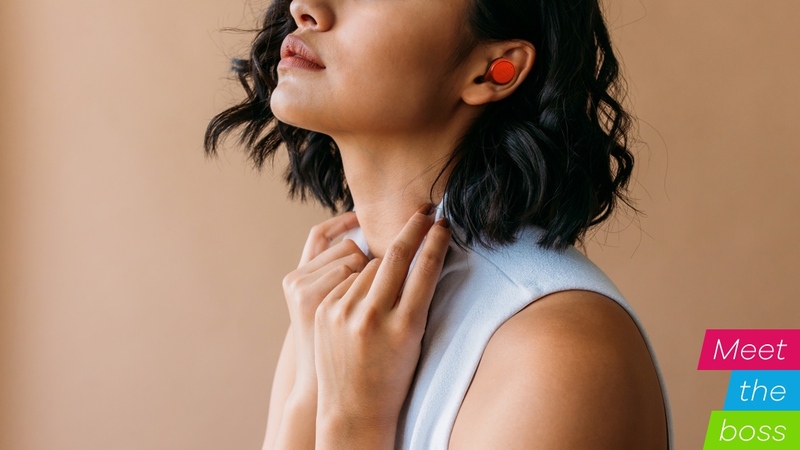 Based out of San Francisco and Perth, Australia this "hearing intelligence" company launched its first hearable, the Nuheara IQBuds, in 2016 after raising almost $800,000 on Indiegogo to make it happen. As Nuheara's co-founder and executive vice president David Cannington is keen to remind me, the IQBuds, unlike other crowdfunded hearable projects, shipped on time. "We said we would ship in December 2016 and that's when we shipped," he tells me. "The average delay for a hearable campaign was about 13 months. We started shipping on time. With our new IQBuds Boost product, we announced that we are going to ship on 24 April and that's exactly what we are going to do." The IQBuds Boost, along with the Live IQ, will be the company's second and third hearables, which might sound pretty impressive for a startup that is new to this world of building devices for the ear. Except when you realise that Cannington, along with co-founder and CEO Justin Miller, have been in the business of building hearing technology and hearing aids for quite some time. Like Bragi and Waverly Labs, Nuheara is a young company, not even five years old. Yet Cannington believes the wealth of experience that he, Miller and their team of engineers bring to the table gives them a serious advantage as far as developing smart earbuds that offer augmented audio abilities is concerned. "This is the second hearing technology project for me and Justin. We've been at this for almost a decade," says Cannington. "Justin founded a company called Sensear in the late part of the last decade, which was an industrial headset company based on technology developed at a research lab in Perth. We commercialised that technology into industrial headsets that had some IP separating background noise in industrial environments where you need to protect your hearing. "Justin moved to the US, we grew from our Silicon Valley office and we built a pretty successful business. In the process we met hundreds and thousands of workers who put our headsets on and were blown away by our tech, being able to hear speech in busy environments. That's where the Eureka moment came for us. We said one day we would build a business that will bring this to the consumer market." Despite that decade of experience, building the IQBuds, Boost and Live IQ hearables hasn't been easy. Nuheara couldn't just take the tech from the old company. It had to start all over again building from the ground up, pulling in engineers from the old company to help create smart earbuds that were capable of separating speech from background noise in noisy environments, connected to Bluetooth and able to make phone calls. The first working prototype for the Indiegogo campaign in 2014 validated that it had a device that was capable of separating speech from background noise in loud environments like pubs and bars. "We did a listening tour around cities in Australia, the US and Canada where we went into noisy pubs and got the same reaction that we we got that we got in the industrial industry," Cannington tells us. From a technical point of view it faced the challenge of bringing all of the tech together and making it work. Bluetooth, Digital Signal Processing, NFMI (near field magnetic induction)… Each bud has three boards, three microprocessors, two microphones, a speaker, tap touch controls, a battery and two antennae. There's a whole lot going on here and we haven't even talked battery, a big issue for first generation hearables. "The battery itself takes up 50% of the real estate", Cannington explains. "We made a decision very early that we had to have best in class battery life. I think we are second to AirPods in terms of battery life, which has been the downfall of some of our competitors that fell off a cliff. "We also knew that Bluetooth from earbud to earbud was not a good way to go, that's why we went with NFMI. We had to commit to that technology to make it work. This is when it comes back to our previous life. We knew how to build these really sophisticated hearing technology products." It wasn't just the challenges from a technical and software perspective that Nuheara had to address. With a belief that it could offer assistance to people with mild to moderate hearing loss, it was venturing into the world dominated by hearing aids. Its new Boost smart earbuds introduces a new Ear ID feature, which evaluates a user's own hearing profile to create a more personalised hearing experience. Cannington tells us that it uses a prescription formula called NAL-NL2, which is used by audiologists to calibrate high-end hearing aids. "The hearing aid companies are only catering to 10-20% of the hearing aid market," he continues. "Then you've got 80% of mild to moderate hearing loss, and those people don't want to wear a hearing aid, whether it's too expensive or it's an age or disability stigma." Through the first pair of IQ Buds, Cannington and his team have been able to see who's using them and how they're using them. Some people are buying them to augment their hearing in order to hear better in certain situations like a noisy restaurant, or to drop back noise to a comfortable level. Those users tend to be within the 45-65 year range. Then there's the younger crowd who are interested in the totally wireless earbud design. But Nuheara recognises that hearing assistance is not just for the ageing population. "There is a real need in the market for a hearing device that doesn't look like a hearing aid but has the ability to enhance or augment," he said. "People are getting hearing loss a lot younger. You've got this situation where you need hearing assistance but not 24/7. Our product and our form factor offers a real solution." Nuheara is currently the only startup delivering a hearable offering what we'd consider augmented audio tech. Up until November 2017 though, there was another startup doing what Nuheara could do and it was getting more attention for it in the process. That startup was Doppler Labs. After four years, the team behind the Here One and Here Active Listening earbuds closed for business, having reportedly sold just sold just 25,000 units of its Here One, which would be its last hearable. Noah Kraft, Doppler Labs' CEO told us that it "helped start a movement." Cannington obviously paid close to attention to the Doppler Labs story and how that played out in the end. "You have to give them credit for having a go at it," he said. "They probably had the attitude that they are going to go big or go home. They raised a lot of money, about $60 million and burnt through it very quickly. "One of the lessons is: new markets don't explode immediately. They take time to mature and take some time to sort themselves out. It's going to explode over the next four to five years. Doppler certainly commanded a lot of the oxygen of the space. We've always said, go low on promises and high on delivery. We made sure we had best in class battery life. Doppler only had 1-2 hours and that was a fatal mistake." While Apple is not playing in the augmented audio space, it does have the AirPods. They might not be as sophisticated as what Nuheara's building but their presence in the conversation and out on the streets is growing. Cannington is well aware of this but he is not concerned about the prospect of Apple venturing into the world of hearing assistance. At least not yet. "AirPods are helping us to create a market," he said. "They are making it socially acceptable to wear things like wireless earbuds in your ears and what we are doing is adding some really sophisticated technology in a similar form factor. We don't think about them too much. There's no one out there doing what we are doing. We will have a hearable that solves a real problem. We remain very focused on the hearing health space." For the immediate future, Nuheara is focused on shipping its IQBuds Boost at the end of April. Then its Live IQ earbuds will land before the end of 2018. It will also continue to support the first generation IQ Buds through software updates, but the big focus will remain Boost and its new Ear ID tech to improve amplification for hearing augmentation. While there are more hearables emerging that offer fitness tracking, smart assistants and translation, those kind of features are not in Nuheara's plans for the future. "We build features that we believe consumers will have a first rate experience with," Cannington said. "Things like fitness tracking and smart assistants are long way from that, particularly translation." The Nuheara co-founder is also encouraged by the current state of hearables and wearables. "I think it's early. It's still really early for hearables. It's still taking shape," he tells us. "But we are encouraged by the fact that more people are going to be wearing intelligent earbuds. It's going to be an omnipresent product like a watch was and is today. You can do some incredible things with technology in the ear."